Buy Kanna (coarse) 1 oz. Buy Kanna (coarse) 4 oz. Buy Kanna (coarse) 8 oz. Buy Kanna (coarse) 1 kg. Buy Kanna Powder 1 oz. 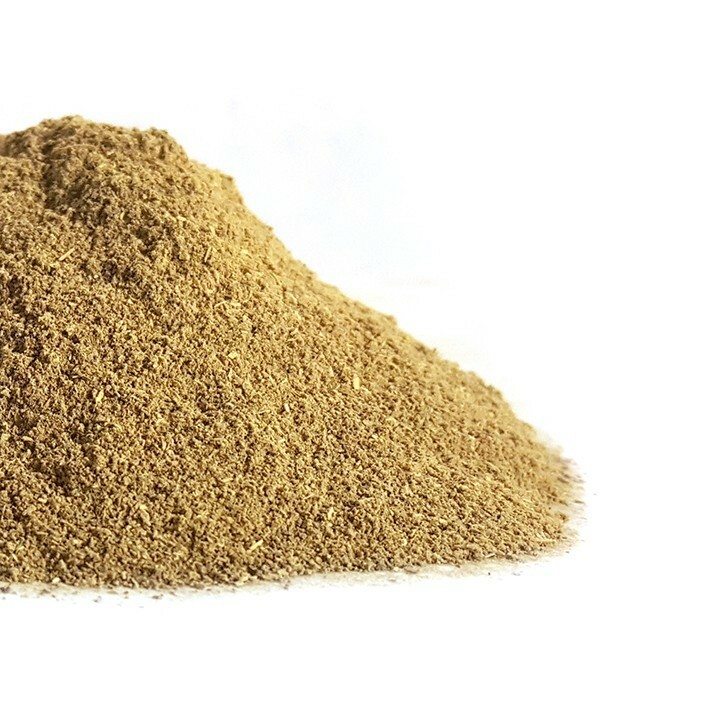 Buy Kanna Powder 4 oz. Buy Kanna Powder 8 oz. Buy Kanna Powder 1 kg. Kanna (Sceletium Tortuosum) is a fairly easy-to-grow groundcover succulent plant with leaves in pairs and small white, yellow, or pink flowers that are thin and threadlike. Herb Stomp receives its pure, organic Kanna directly from a South African farm dedicated to the growth of Kanna and similar products. Kanna is also called Canna, Kauwgoed, or Kougoed, the latter of which literally translates to “chewable thing.” Herb Stomp offers both a coarse Kanna, which resembles tiny wood shavings, as well as Kanna powder, which may be a pale greenish-tan color. Sceletium Tortuosum has nine alkaloids. The main two are Aptenia and Mesembrine (roughly 1% to 1.5% total). Mesembrine affects serotonin and dopamine receptors in the brain — the body’s pleasure centers. Scientists believe mesembrine elevates mood but potentially interacts negatively with prescribed antidepressants (see Warnings below). Kanna is not a hallucinogen. The plant is typically harvested in spring or early summer, as alkaloids are at their highest concentration then. Kanna is native to South Africa, particularly the Northern, Eastern, and Western Cape provinces, where for thousands of years the native Hottentots chewed it for relaxation. According to Dutch writer Groot van der Gros, in order to gather a year’s worth of Kanna, South African hunter-gatherer tribes would embark on journeys of 100 miles or more. 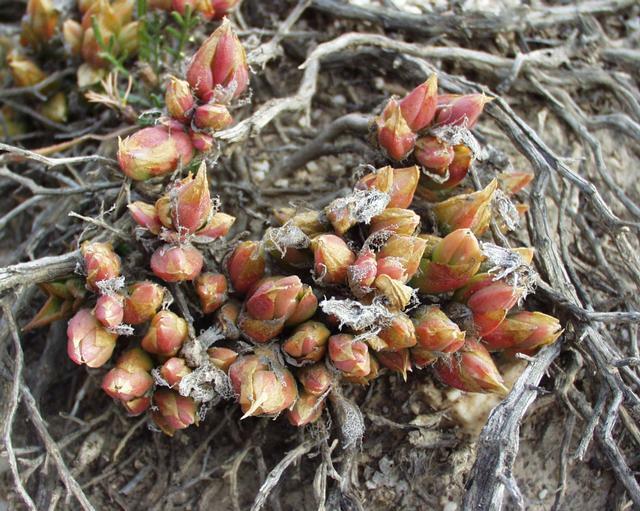 South Africa’s San (hunter-gatherers) and Khoikhoi (pastoralists) nomad tribes are said to have used Sceletium Tortuosum for medicinal purposes and even used the herb as currency at times. The San in particular admired Kanna for its assistance in healing, divination, and communal dancing. Traditionally Kanna was used as a quid, chewed, or consumed as a tea. In the 1600s, Dutch colonialists in South Africa chewed both the stem and the root of Kanna after harvesting the plant, fermenting it in airtight containers, and letting it dry in the sun. Dutch colonial administrator Jan van Riebeeck first wrote about Sceletium Tortuosum in 1662 after he landed in Cape Town, although its use likely predates that time. Kanna has been used in the hopes of reducing anxiety, calming the mind, improving mood, reducing appetite, and stimulating mental acuity. Indeed, Sceletium Tortuosum may have some negative side effects. According to pharmacist and botanist R. Maloth, who wrote of Kanna in a 1913 paper titled “The Flora of South Africa,” excess kanna use may result in depression, weariness, headaches, and diminished appetite. In addition to being chewed or drank as a tea tincture by the Hottentot tribesmen, occasionally tribesman smoked, snorted, or placed kanna under the tongue at the dosage of roughly 50mg to 100mg once or twice a day. Sometimes the Hottentot combine it with damiana or wild dagga. Rhodiola and kava, however, are said to be poor combinations for Kanna. At least one pharmaceutical company has begun to investigate this. HGH Pharmaceuticals, a South African business based in Cape Town, obtained the first “bio-prospecting” license in 2010 to research and develop a Kanna extract. Kanna has been the subject of limited scientific research. 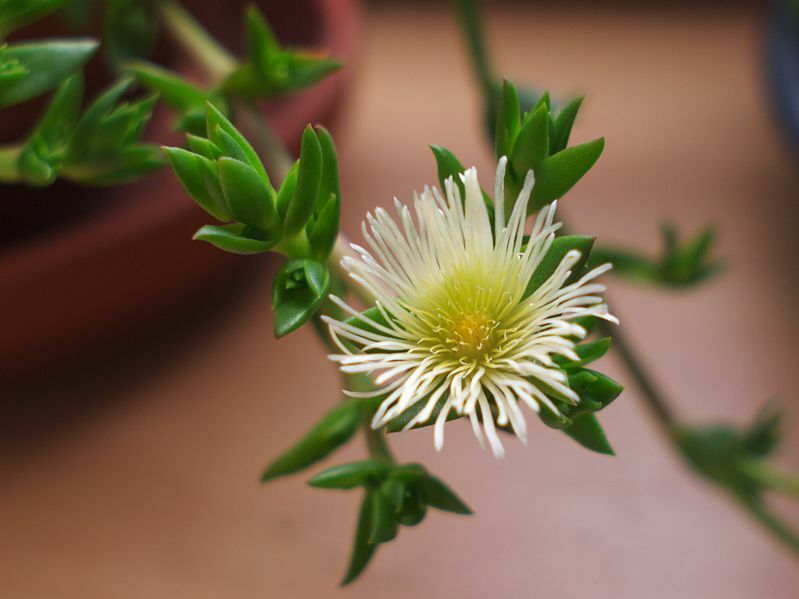 In 2013, researchers from the Netherlands and South Africa published a paper in the journal Neuropsychopharmacology about the effects of Sceletium Tortuosum on the amygdala and its connection to the hypothalamus. The double-blind study examined 16 subjects’ fear and anxiety after taking Zembrin, an extract of Kanna. A 1996 paper about Kanna was also published in the Journal of Ethnopharmacology, titled “Psychoactive constituents of the genus Sceletium N.E.Br. and other Mesembryanthemaceae: a review.” This paper concludes Kanna does not have psychoactive properties but rather acts as a narcotic and anxiolytic (anti-anxiety or anti-panic substance), noting that more research is necessary due to Kanna’s interactions with pharmaceutical antidepressants (see below section). WARNING! Kanna is believed to act as a Selective Serotonin Re-uptake Inhibitor (SSRI). In combination with common psychiatric medications including other SSRIs (such as Prozac) and MAO Inhibitors, it may cause injury if ingested. As with most supplements, safety in pregnancy has not been established. When ordering kanna, you agree to our disclaimer. When buying kanna products from Herb Stomp, you agree that you are at least 18 years old. This statement has not been evaluated by the FDA. This product is not intended to diagnose, treat, cure, or prevent any disease.